Modern day technology has innovated pretty much every single part of our lives. From self-driving cars directly on the verge of becoming the norm, to smart homes becoming a reality through things like Alexa, to being able to order food to our homes with the press of a button on the tiny computers we all carry around in our pockets, we are truly living in the future. One thing that you’d think would be better staying in the past and depending on tradition is the choir. But, one of the most prestigious choirs in the world thinks otherwise. The King’s College Choir is one of the oldest and most renowned choirs in England, and also in the whole world. It was founded by King Henry VI in 1441 and has been going strong ever since. 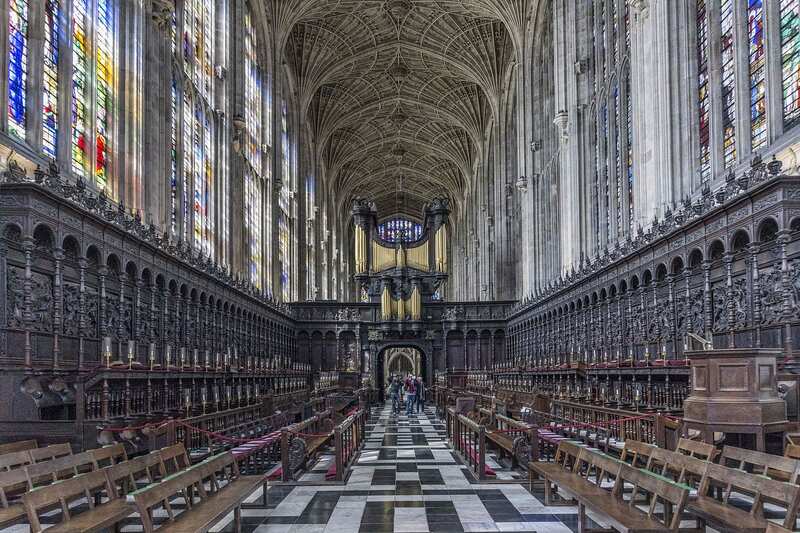 The choir was formed to sing in the King’s College Chapel, and that’s still what they do to this day. There’s nothing quite like hearing a choir sing in an echoing chapel, whether you are religious or not. This experience transcends religion. No matter what you believe in, you can’t deny that it touches your heart in a completely unique way. When it became impractical to have really young soprano boys involved in the choir’s every step, the leaders racked their brains about how to get that ethereal tone with older boys. Eventually, they turned to the chemistry department. 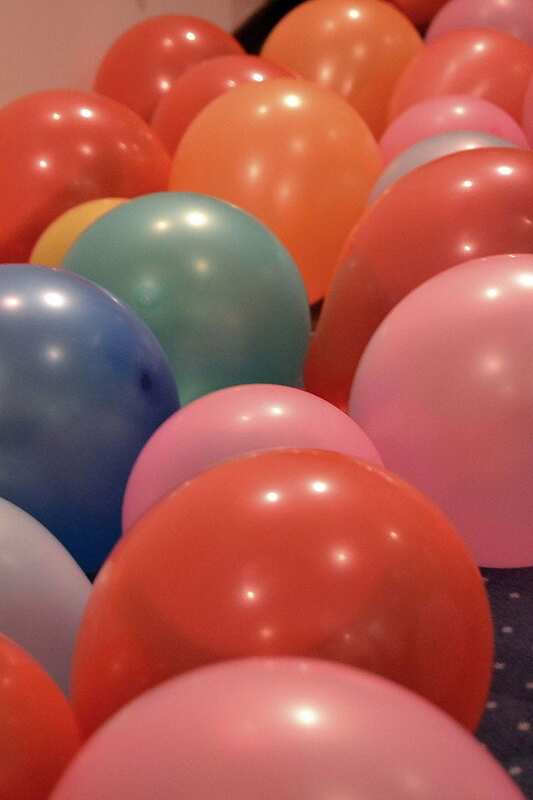 Now, I think the vast majority of us would be lying if we said we’ve never taken one of the helium balloons at the end of a party and inhaled its contents to take your voice a few octaves up and have a big old laugh with your friends. While it’s not recommended to do this for safety reasons, we’ve all probably done some worse things in our lives, right? That being said, don’t try this at home! The King’s College Choir’s method for achieving that high pitched tone isn’t a super technological advancement, but it is certainly unorthodox when it comes to choral traditions. While a bit odd, the results are gorgeous. However, it’s kind of difficult not to laugh when you see the boy on the far right pulls out the secret weapon from behind his back! 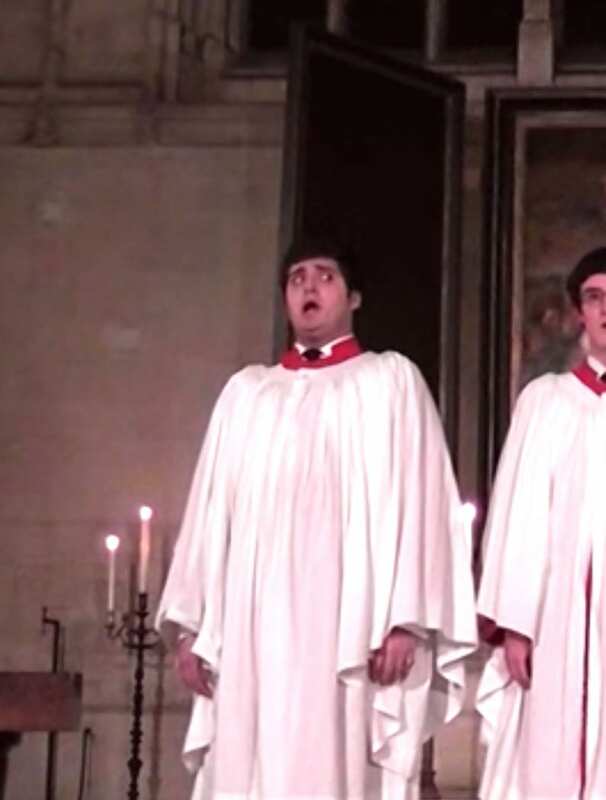 The boy on the left looks over with shock when he hears what comes out of his fellow choir boy’s mouth – make sure you keep an eye out for this look! Hey, I’d be shocked, too, if I heard this noise come out of a real person’s mouth. Wouldn’t you? This is absolutely insane! 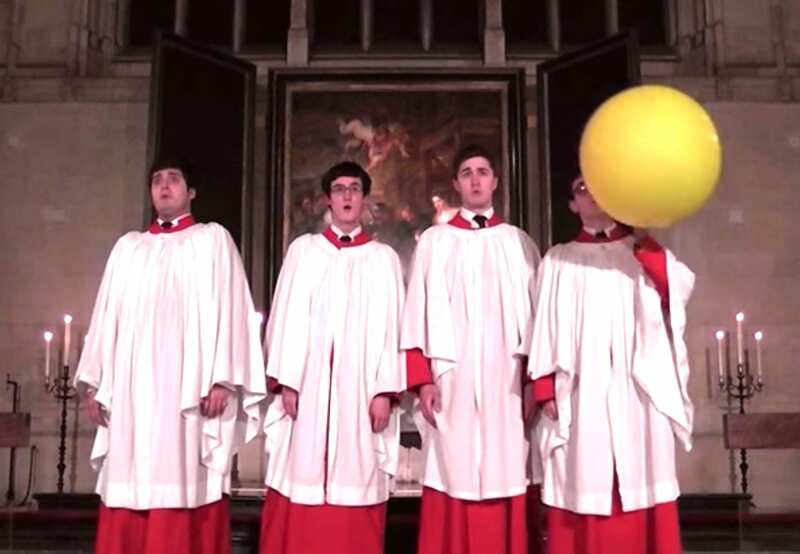 Just the sight of very proper English choir boys, dressed to the nines in their full garbs, singing like literal angels – and then a giant yellow balloon appears. It’s so out of place, and I absolutely love it. While this may not be an everyday solution, it sure is a pretty effective way to get the desired effect every now and again. What do you think of this short little clip? I’d love to hear more of it but it seems that they are reserving this secret weapon for a special occasion. I can’t wait to see what they do with it! Make sure you watch the video until you see the choir singing!